【Video Camera】1920x1080P, 1280x720P HD video resolution selectable. 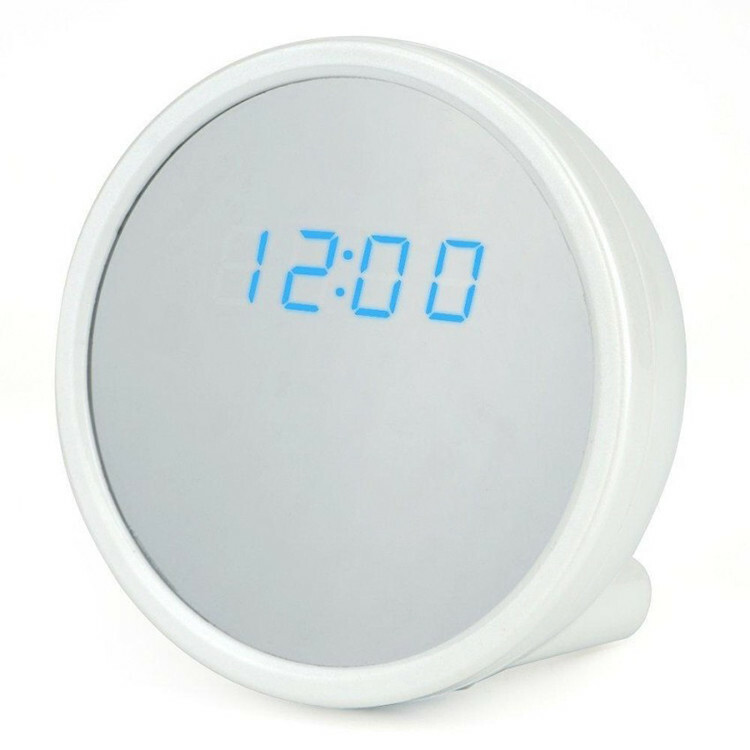 It supports real time audio & video recording; support recording and charging at the same time. 【WIFI Network Camera】This is a network camera. There is no distance limitation for you to view or record live videos after you complete the network configuration on your smartphone APP in the P2P mode. You can view or record live videos any where any time you want. 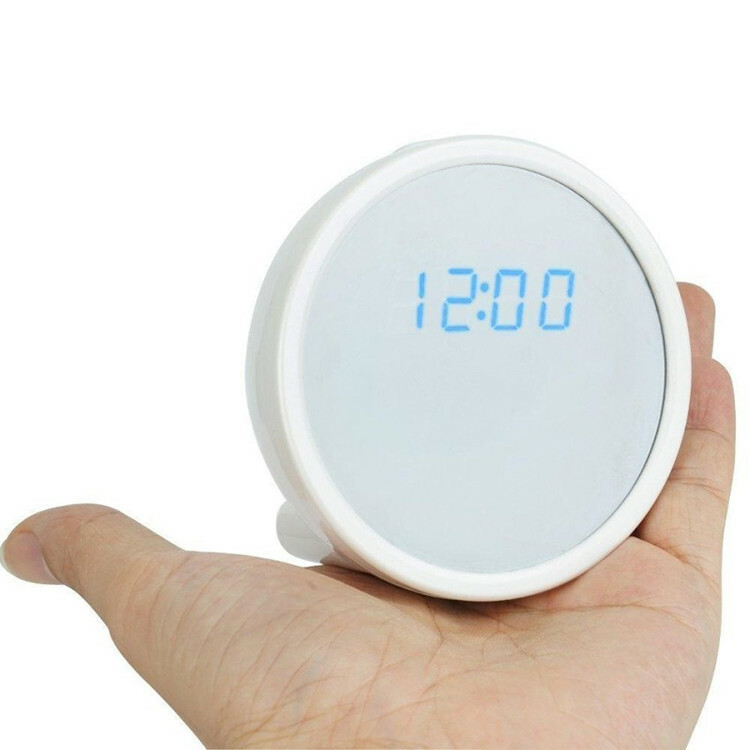 【Spy Camera】It just looks like a ordinary clock and it has real clock function. 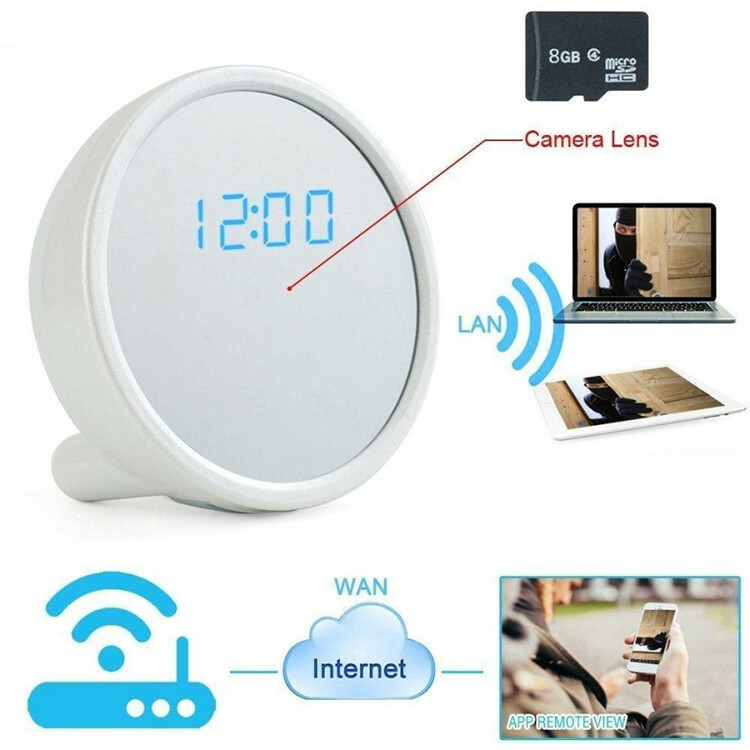 Actually it is a wifi network spy camera clock. 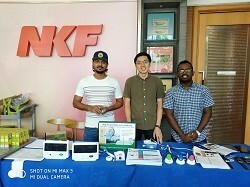 You can put it in your home and no one will find it is a camera. 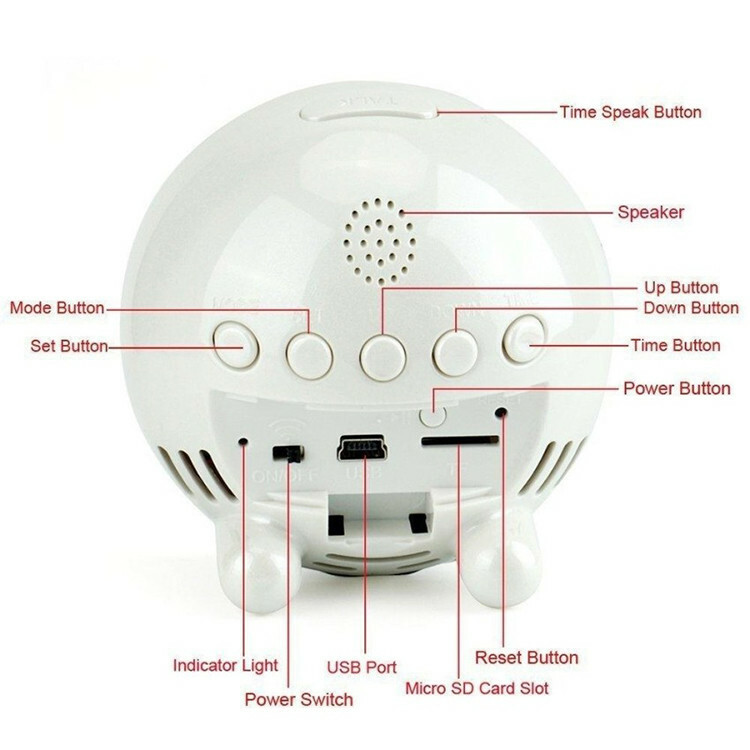 You can monitor your baby and home environment through your phone. 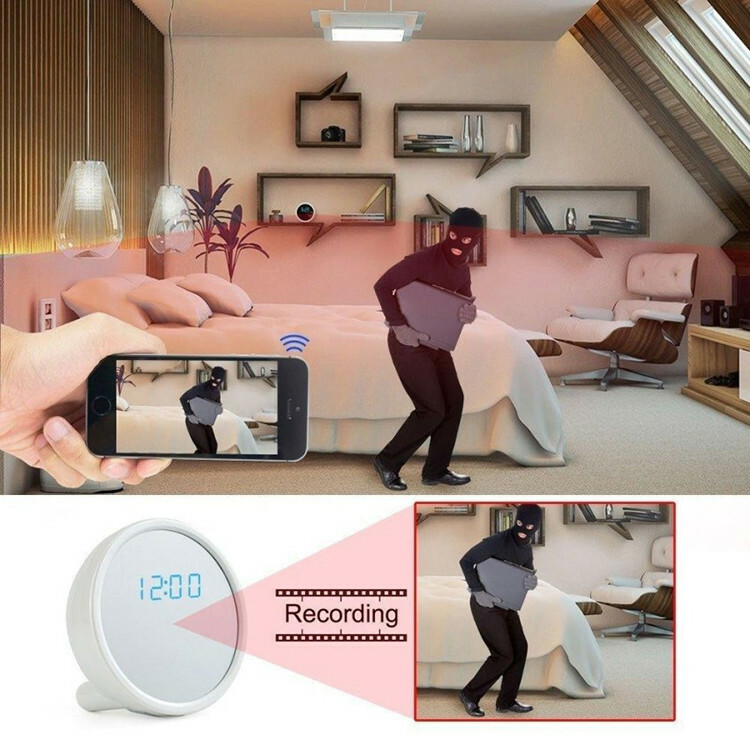 【Motion Detective】It has motion detection function. 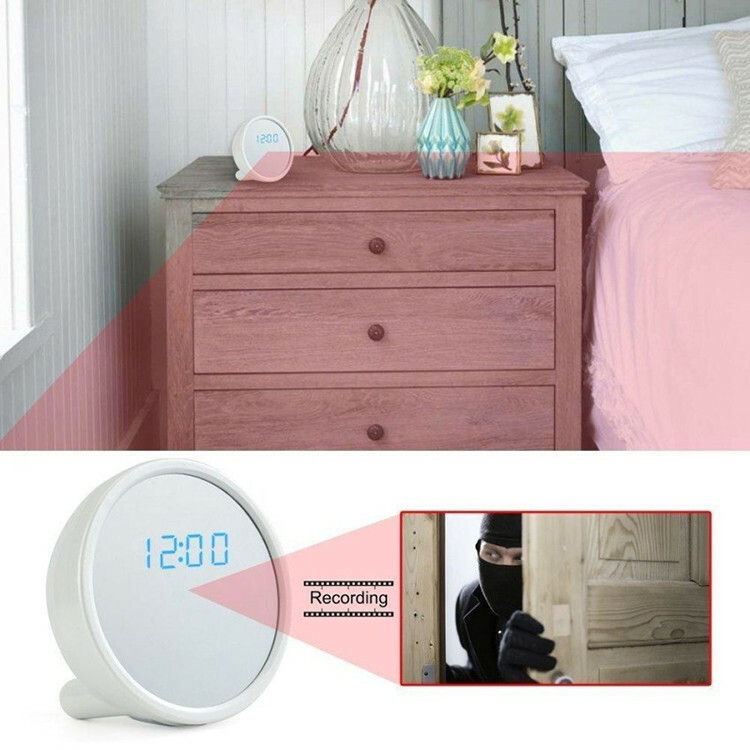 The spy camera clock can be set to record only when motion is detected. When the target objective moves, it will record automatically. 【Memory & Battery】8GB Micro SD Card built-in; support 32 GB Micro SD Card in Max. Operating battery life time is 2 hours. Charging time is 4 hours. 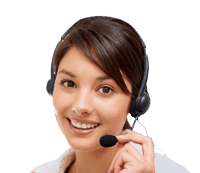 You can make it 24/7 hours working with outlet power supply. This is a network camera. There is no distance limitation for you to view or record live videos after you complete the network configuration on your smartphone APP in the P2P mode. You can view or record live videos any where any time you want.